live events with friends and family. 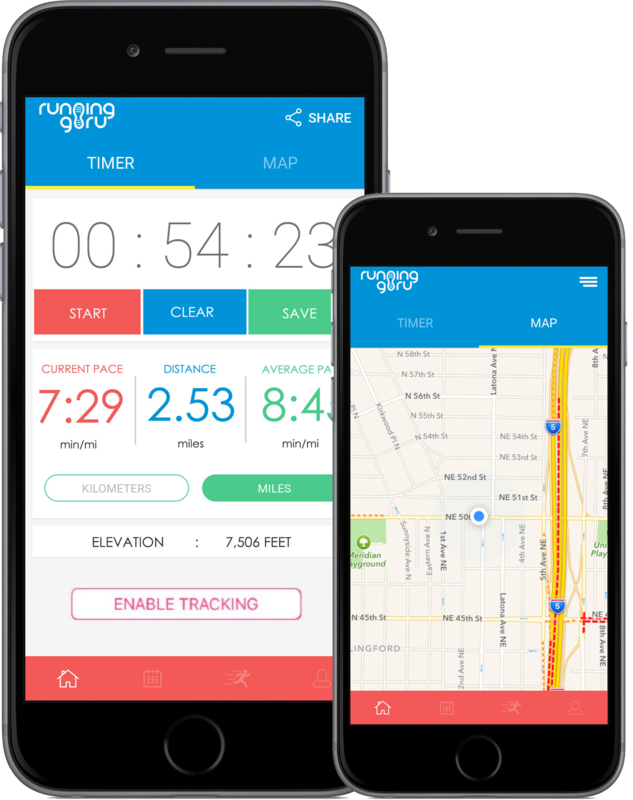 Click the links at right or go to the App Store© or Google Play© on your mobile device and search for the Running Guru Official App. The Timer provides real-time information like run time, pace, distance, elevation and more. Click the Map link to see your location on Google Maps©. Don't worry, your location is only shared with people you choose. 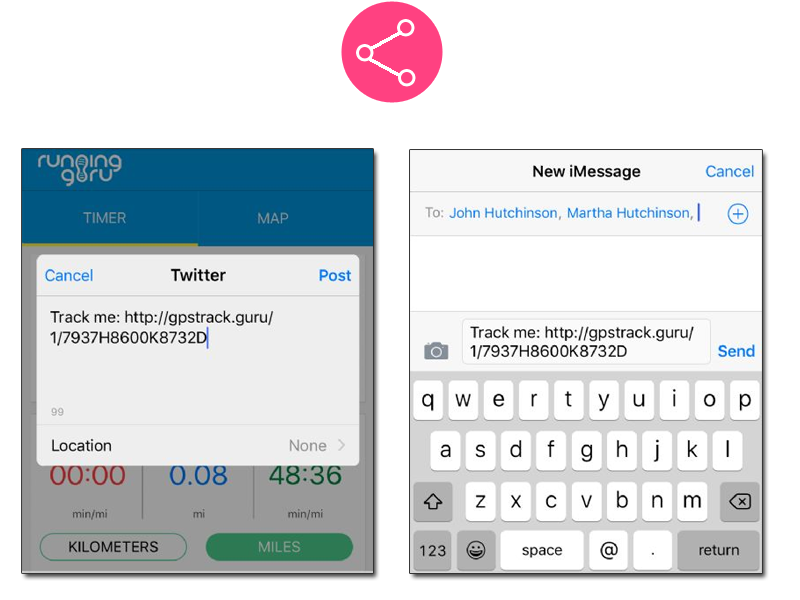 Click the red Share button and share your run via Twitter©, Facebook©, text messaging and more. 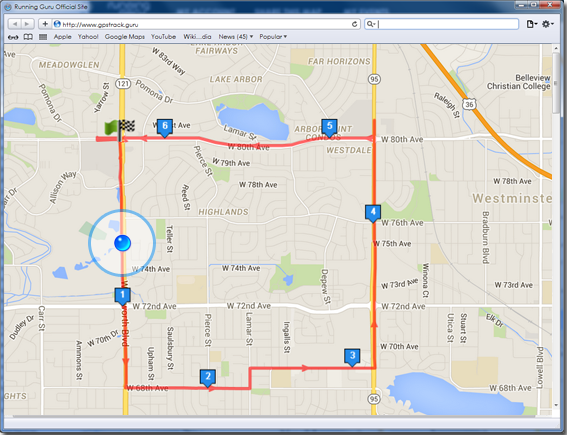 Your location and progress are updated in real-time on Google Maps© so followers can see your progress. If you're running an organized event, people can follow you along the race course; this is perfect for spectators and meeting at the finish line!